Dr. Mohamed Sharaf graduated from Baghdad University, Iraq in December 1978 and received his fellowship from the UK from Royal College of Surgeons in 1988. 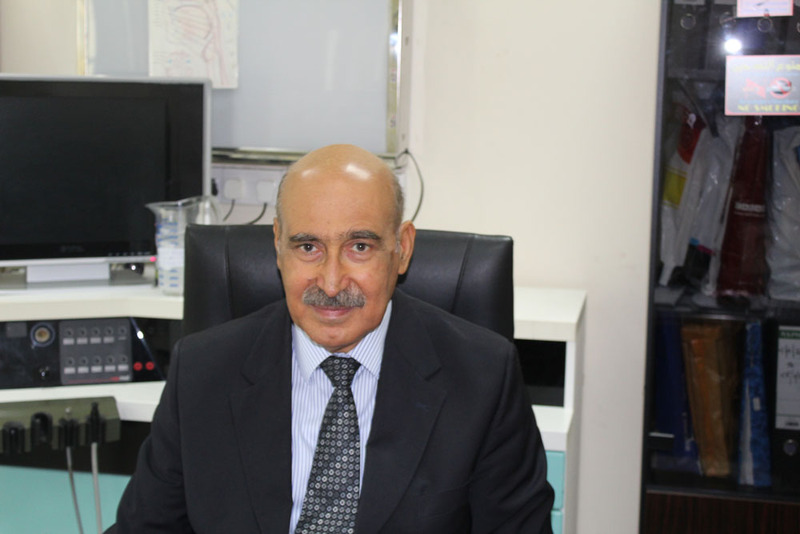 Dr. Mohamed Sharaf worked as an ENT Consultant surgeon at Salmniya Medical Complex for 25 years, and in the UK for 5 years. His special interest is in ENT surgery for children, Nose and Sinus Surgeries as well as Head and Neck Surgeries. Dr. Mohamed Sharaf joined Ibn Al-Nafees Hospital in 2001 as a part time ENT surgeon and in 2008 as a full time ENT surgeon. Dr. Mohamed Sharaf’s clinic is equipped to conduct hearing assessments for new born infants, children and adults for which Microscopes, Nasoscopes and Fibroptic Nasolaryngoscopy devices are used. Dr. Mohamed Sharaf uses coblation for diagnosis nose and throat conditions and surgery.